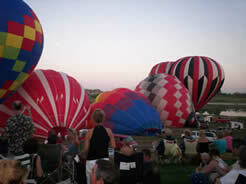 More than six million spectators annually attend hundreds of balloon events nationwide . 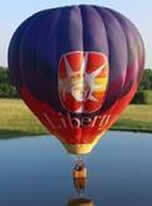 . .
Have You Ever Wanted to Ride in a Hot Air Balloon? Now may be you chance! 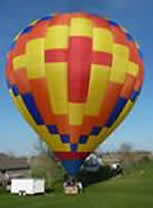 We can also arrange Rides available with participating Hot Air Balloons. Contact us at (402) 346-8003. 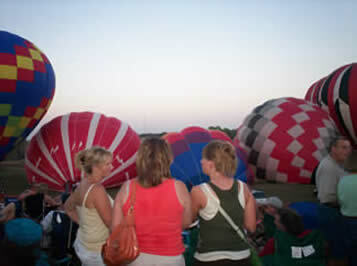 Balloon Rides Sold Out Again last Year! Get on the List NOW for this year! Check another Unique Experience off the Bucket List take a Helicopter Ride, Purchase your seat today for Saturday Only from 3-6 seats are limited. 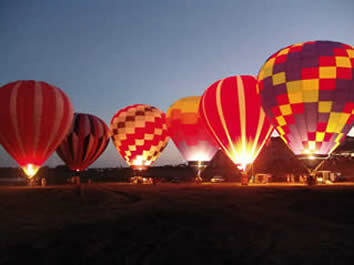 To accomplish the glow, balloon pilots ignite their burners simultaneously. 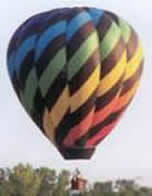 This causes the colorful balloon envelopes to glow against the velvet black skies and reflection of the Lake. The pilots then make the balloons “dance” by igniting the burners, with the band firing up the stage to prep for the hot air balloons’ Big Show. 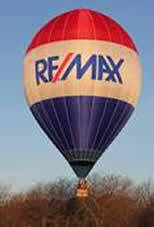 A hot air balloon creates excitement that attracts and holds attention. 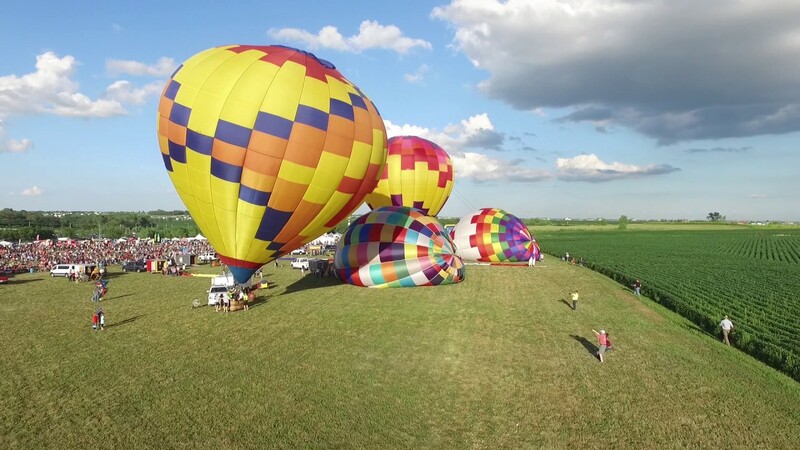 More than six million spectators annually attend hundreds of balloon events nationwide, more than any other outdoor summer activity, including baseball games and car races. 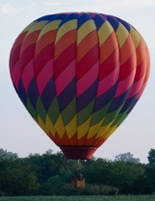 First, the pilot and crew spread the colorful canopy out across the grass and connect the balloon envelope (canopy) to the gondola. 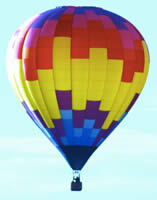 Balloons are inflated with giant fans. 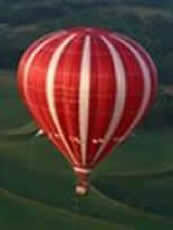 Then the pilot ignites the burner forcing hot blasts of air into the balloon canopy, which causes it to rise. 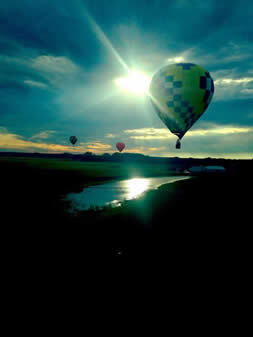 Remember your early science lessons – “Hot Air Rises.” Part of the romance in ballooning, is not knowing exactly where the air currents take you. 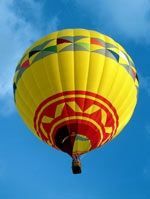 Balloon pilots navigate by ascending and descending the balloons into different air currents, but they are incapable of actually “steering” the balloon into a precise location and can land miles from their launch site. 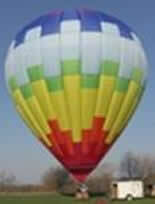 Chase crews follow the balloons to their destinations as the balloons rarely land where they launch. 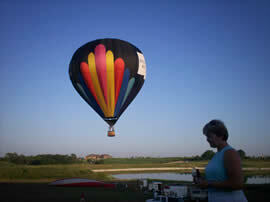 The Nebraska Balloon & Wine Festival is the First Showcase of its kind and will be similar to other Balloon & Wine Festivals around the country which have become successful including those in the Temecula Valley, California and Shenandoah Valley, Virginia. The Festival is scheduled for Friday, August 10, 5 pm – 11 pm and Saturday, August 11, 3 pm – 11 pm with Adult General Admission at $14 and Children under 12 at $7.00 and 5 & under free throughout the two Day Event.